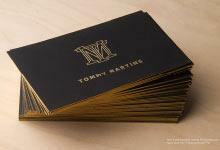 These sophisticated copper metal business cards portray creativity and style. The 0.5mm metal has a brushed finishing and comes in a standard size of 3.5”x2”. The cut through design creates a special addition to this exquisite name card since you can customize the design to fit your company’s profile. Etching makes an indentation in the card to form the letters. 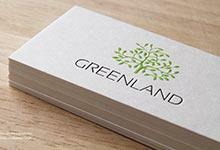 The Copperleaf template is an elegant business card perfect for those wanting a subtle design which is unique and refined. 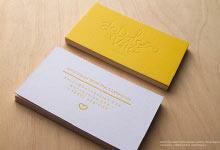 It is an excellent choice for designers wanting to create an impression.